Social networks provide us with a ton of data about our posts but it can be hard to distinguish the signals from the noise. How do you know what’s working on social media and what’s not working? Imagine having a framework to pull out the signals from the noise -- a framework that points you to the key information about your social media performance. With this framework, you can easily identify successful posts and understand why they did well. The key is social media analytics and reporting. 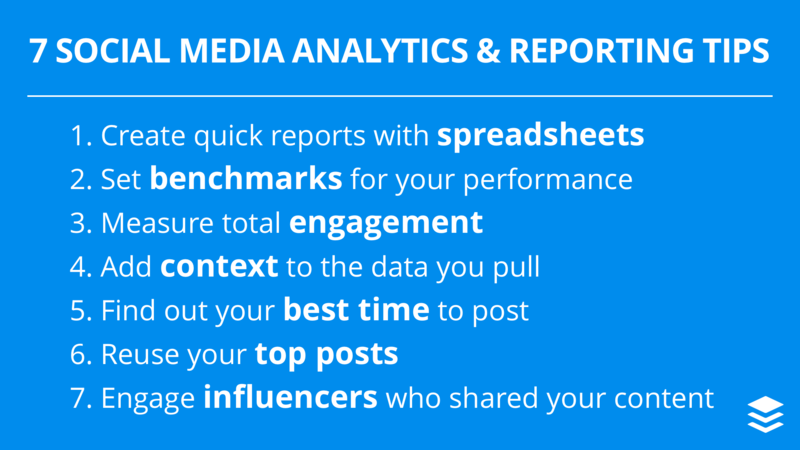 In this post, you’ll learn how to analyze, evaluate and use your social media data to boost and report your social media marketing results -- from exporting your data to creating benchmarks to finding your best times to post. 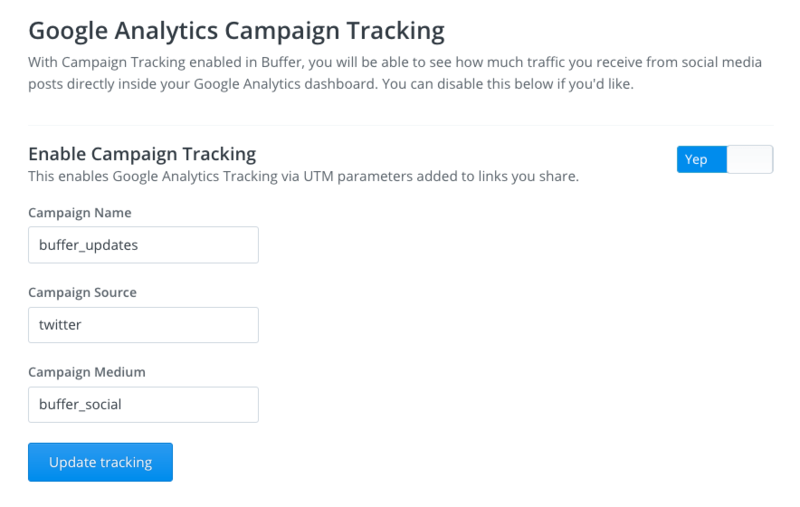 You can get an export of your data from any screen in the analytics section of your Buffer dashboard. Bonus: You can grab data from any date range imaginable; the defaults are 7 days, 30 days and 90 days, with an option to set a custom date range, too. Once your stats are out of Buffer, Facebook or Twitter and into a spreadsheet, consider removing any outliers from the dataset. 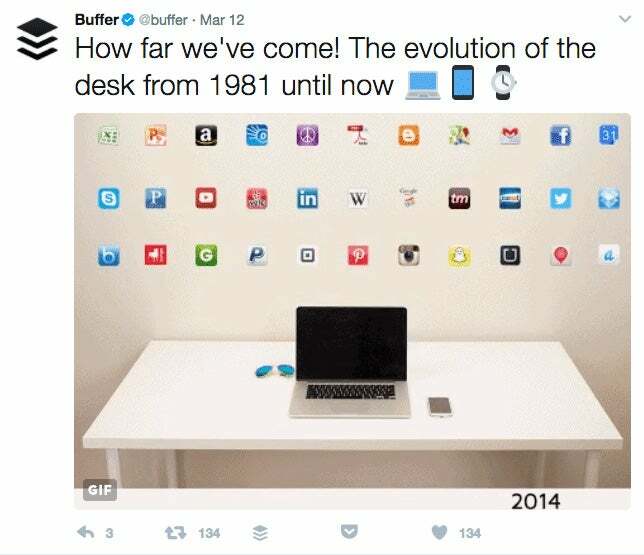 For instance, in Buffer’s case, we have a lot of #bufferchat tweets on Twitter, and these aren’t necessarily part of the social media marketing posts that we’d love to analyze. We can do the same with stats per followers, which ends up being a useful measure for comparing different networks like Twitter to Instagram. If we have 100 engagements on an average Instagram post and we have 5,000 Instagram followers, that might be an amazing area for us to double-down -- especially if we know our Twitter average is 100 engagements per tweet with 400,000 Twitter followers! Here’re some templates to get you started with analyzing all the stats mentioned here: baselines, engagement, rates and more. 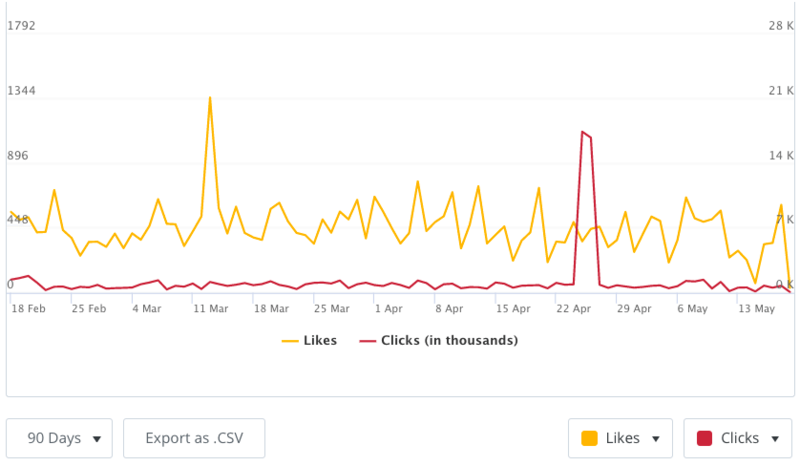 We’re always on the hunt for answers here, and one of our latest tactics has made analyzing our social media updates a million times faster and smarter -- not to mention saved us an hour a day on our social media processes. Awesome, now that you’ve got your average, we like to bump ours up slightly so that the benchmark is a bit aspirational. Great question! I tend to rethink my benchmarks anytime I’m noticing that I’m reaching the benchmark more often than I’m not. It’s a rather soft science! I’m sure you’ll have a great intuition on when it feels best to bump the benchmark up. We all might have our favorite actors, favorite foods and favorite places. I have a sense the same is true for favorite social media stats! Total engagement is the sum of all interactions on your post: clicks, reshares, comments and Likes. It is the social media analyst’s peanut butter sandwich. Almost everyone loves it. Finding total engagement is as simple as adding up the interactions on a post. In your data spreadsheet, make an extra column in the spreadsheet to sum the number of clicks, reshares, comments and likes of each post. 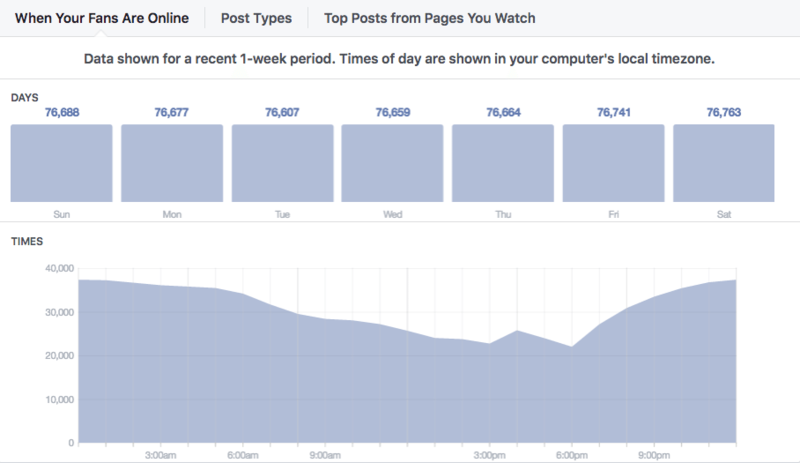 There are several social media analytics tools that automatically calculate total engagement for you, which can save you some time. The Google Analytics stuff can sometimes be a bit tricky for me! I’ll often head for help at YouTube. There are some really great tutorials there! And of course, these two ways -- total engagement and revenue -- just scratch the surface of all that’s possible with evaluating your social media content. We’ve written an article that covers a bit more of the iceberg. We’d love for you to take a peek! Data is great, especially data with context! 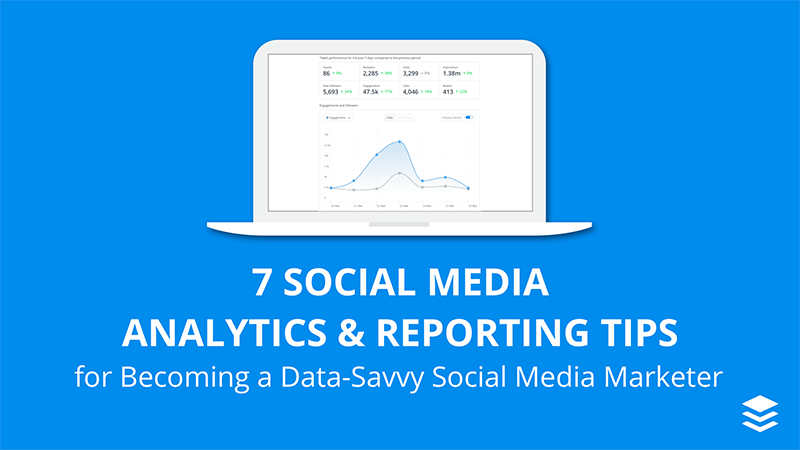 In this report, you’ll see the trend of your key social media metrics such as clicks, likes, reshares and followers. We used to think there’s a universal best time to post. Not anymore. 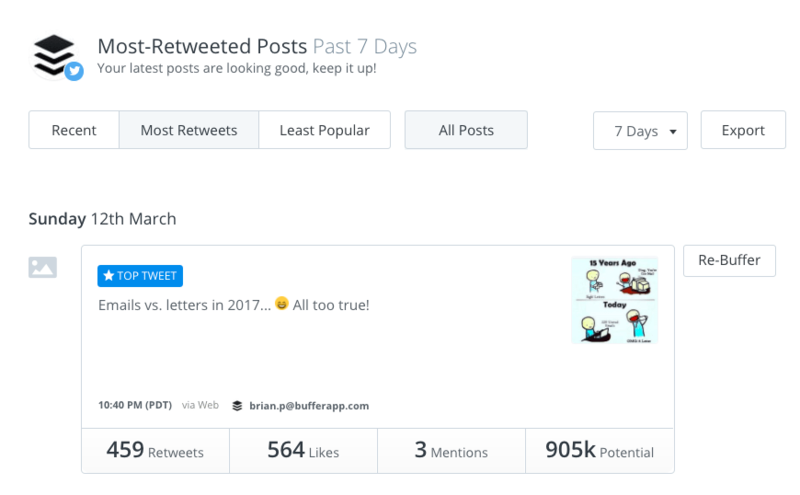 With the algorithmic News Feed, the timing of your Facebook post might be less important but I feel there’s still utility in finding the best posting times to generate initial engagement -- early signs of a quality content which might cause Facebook’s algorithm to show your post to more people. So, one of your tweets is taking off. Likes, retweets and replies are rolling in. What should you do? To maximize the value of that tweet, you can consider republishing it -- ideally with a different copy several days or weeks later. If you repeat this flow for a while, you can build up a nice repository of social media posts -- that have proven to be great -- to fall back on whenever you are having a social media manager’s block. 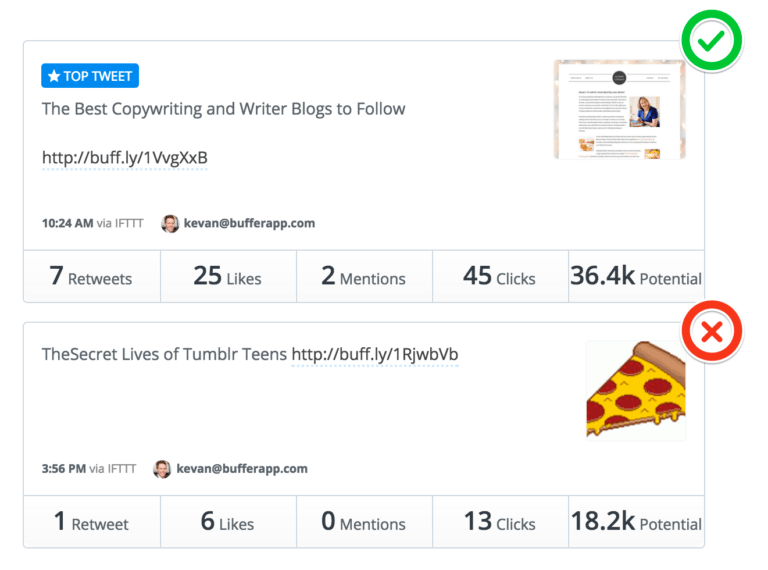 Step 2: Sort your posts by a form of engagement such as retweets, likes or clicks. Here, I chose retweets. Step 3: Pick a post from a few weeks back and hit “Re-Buffer." Here’s the post we republished (originally published last December). The original tweet received 133 likes, 135 retweets and one reply while the republished tweet received 134 likes, 134 retweets and 3 replies! Here’s a fun thought: At this very moment, an influencer -- someone with a significant social media following -- might be sharing your content. Not to mention a virtual high-five for all your hard work.